KUALA LUMPUR: UMW Toyota Motor Sdn Bhd expects to sell 75,000 vehicles this year. "We are confident of achieving our 2019 sales target of 75,000 units. 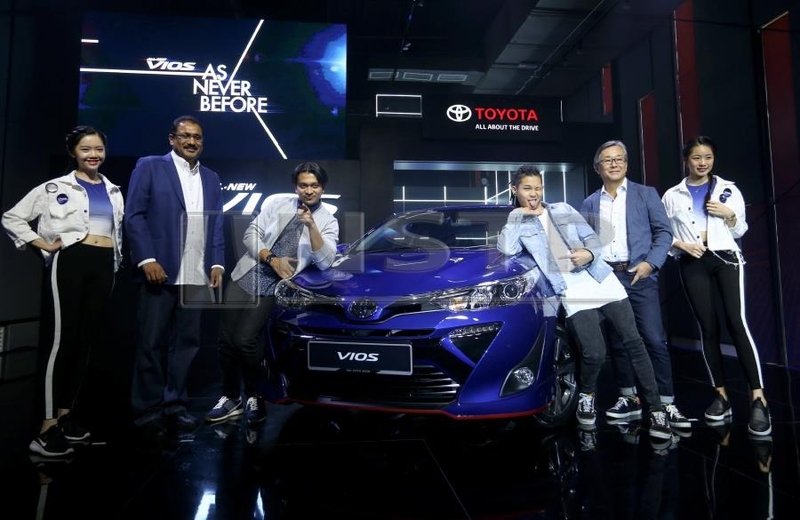 It will be mainly driven by the all-new Toyota Vios and the Toyota Hilux," said its president Ravindran K at the launch of the all-new Toyota Vios here today. UMW Toyota offers three variants for the all-new Vios, starting from RM77,200 excluding insurance. "Since the first model was launched in 2003, we have sold almost half a million Vios, making it the most popular in its segment. Over the years, we have set the standard for this vehicle segment and I am pleased to announce that this new model, the third generation Vios will continue to set the standards for many years to come," Ravindran said. Apart from having a refreshed look, all variants have been rated the maximum five stars by Asean Ncap and is equipped with seven SRS airbags, vehicle stability control and hill-start assist control. Notable changes inside the car include redesigned dashboard and instrument cluster, new seat upholstery and cushioning, centre console box, USB charging ports and cabin lamp for rear occupants, fully automatic air-conditioning system and a lower noise and vibrations characteristic. The new Vios is the first model to roll out from UMW Toyota's new manufacturing plant at Bukit Raja industrial area in Klang, Selangor. It is one of the most modern, advance and efficient Toyota plants in the world. "We foresee the auto industry in the country having bigger potential in the future. As such, the company has invested about RM2 billion in this new high-tech and highly efficient plant," Ravindran said. The plant, which took nearly two years to complete, can produce 50,000 units a year. "We are now doing modernisation and improvement works for our old plant in Shah Alam. With both plants up and running we are able to produce about 100,000 units a year. “The new plant in Bukit Raja, will produce the Vios and Yaris, while the SUV and others will be at the Shah Alam plant," said Ravindran.